April 5th 2016. 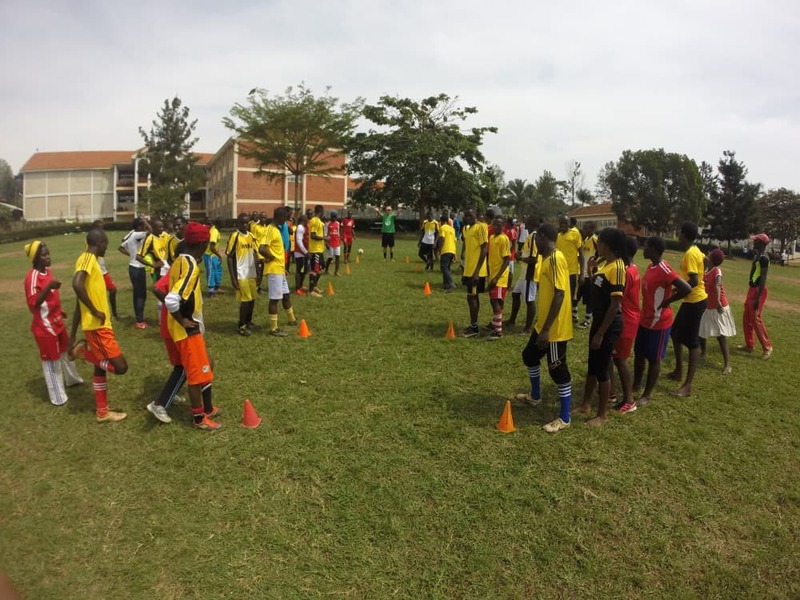 CAC Community Impact Coach Charles Otieno blogs about his second week On-Field with CAC in Mbarara, Uganda with Mbarara Sports Academy. It was a four hour bus ride from the capital city of Kampala to Mbarara, a beautiful town located in the west of Uganda. I liked the environment that the Mbarara Sports Academy created there. Being the second town I visited in Uganda, it was another good experience. I met new people and the fun of it was people speaking a different language from what I speak in Kenya, but we had one thing in common, and that was soccer. Soccer plays a vital role and it made the communication easier, as we all know soccer is a universal language. The turnout of the five-day training was high and fairly well gender balanced. The active coaches were very interested in playing soccer so we got to play some of our more competitive games this week. It took a while for some of the coaches to realize that you can use soccer to teach on how to combat social issues, but it was impressive to see once they did. The highlight of the week was playing ASK for Choice games with female coaches for two days consecutively. The women were really committed. They arrived early in the morning at a different training field and then continued on with the rest of the coaches in the original site for extra hours of CAC games. The majority of the girls were students in college and were studying in different fields so that they can have as many opportunities as men. They believe that women should have equal opportunities as men and through that, the community will grow economically and socially. They want to be more independent, have more freedom to play sport, to education, to employment, to property ownership, and to make personal choices. The One World Futbols have played a big role in the On-Field sessions. I have been able use them to train and create a learning environment for young men and women. Having soccer balls is one of the challenges communities face and these ultra-durable balls have been the answer because they last longer and can be played in any type of pitch be it grass field, turf field or dusty field. With the One World Futbol’s being all over the world, it tells us how soccer speaks to people in a language they can all understand. They say “play with the best and be the best”. I take this opportunity to thank CAC for the great opportunity and also the gentlemen that have been my backbone for the two weeks here in Uganda. It has been great working with David Neaverth, Markus Bensch and Charlie Crawford and I’m happy I managed to grasp some On-Field and Off-Field skills from the team. One Football…. One Game….One Goal…. One language…. One World. March 21st 2016. 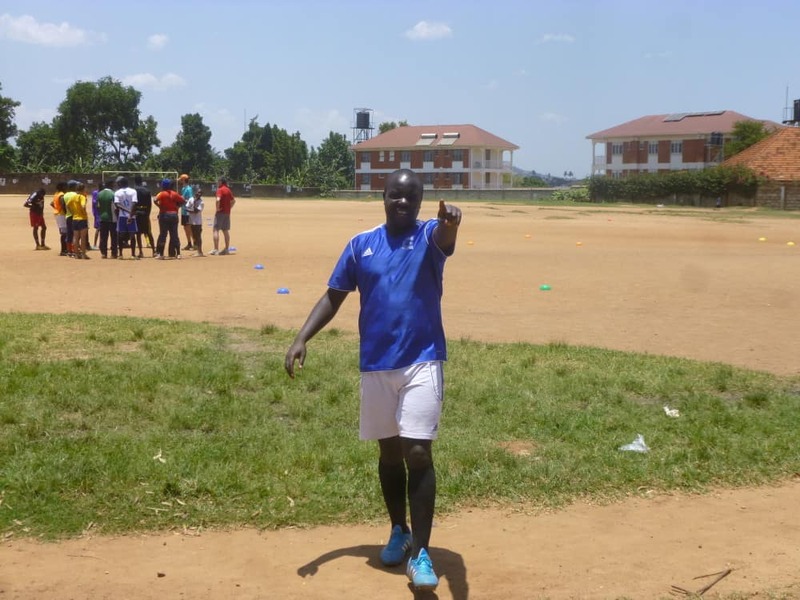 CAC Community Impact Coach Charles Otieno, from our partners VAP & Green-Kenya in Nairobi, writes about his trip with CAC to Uganda to work with Soccer Without Borders Uganda. It was a long journey from Nairobi to Kampala. I left Nairobi on Friday at 7.30pm only to arrive in Kampala at 10am the next morning. 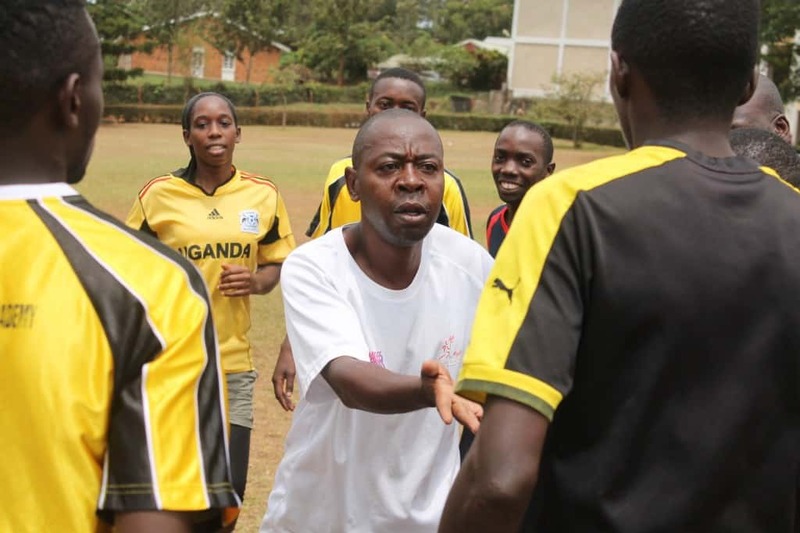 This was my second time in Kampala, but it was my first time traveling internationally with Coaches Across Continents to teach games to coaches. It was an exciting week in Kampala since it meant meeting coaches who were welcoming and eager to learn. Some of them traveled from far to the training venue, only to be part of the training in a dusty field, under the hot sun. Their commitment and hard work really inspired me. I also got a chance to visit the Kampala based CAC partner organization Soccer Without Borders .The organization works in the Nsambya neighborhood of Kampala. 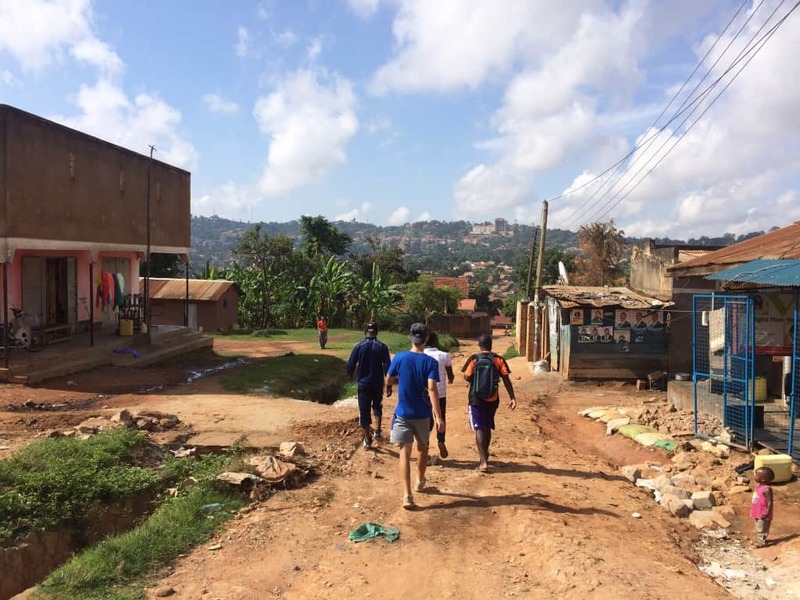 Through soccer and educational programming, SWB creates a space for urban refugees from the Democratic Republic of Congo, Rwanda, Burundi, Sudan, and Somalia to integrate with their Ugandan peers. As a CAC Community Impact Coach (CIC) I had the opportunity to engage with more than 20 community coaches who are leading incredible organizations and soccer teams making a difference through sport. Being a CAC Community Impact Coach has really influenced my personal journey in life. What I think makes soccer so incredible is its potential to help change the world outside of professional leagues and international tournaments. Also Coaches Across Continents brings out the picture clearly with the games that we learn, adapt and create. CAC helps grow the game by creating a platform for us to be more creative and come up with games that directly impacts our own communities and the rest of the world. I felt happier when on one of the training days I got a chance to play a game I had created. It was my highlight of the week and I thank Coaches Across Continents for their Online Education Program that has really shaped me as a CIC and the first hand experience I have gained from working alongside many CAC teams. Football has provided me the self discipline, leadership skills and confidence that continue to shape my life on and off the field. I feel fortunate to be a Community Impact Coach in Kampala. With this role I have been able recognize the power of sport to make a difference, and would like to be defined not only by my knowledge, but by my ability to bring out the best in every partner organization I go to. It is our duty to attempt to make the world a better place than it was when we found it. To realize this dream many of us are happy to go through endless hours of traveling and personal sacrifice. I love soccer but the side of the sport that I love most is one in which success isn’t defined by goals or medals, but instead by community impact and social change. March 14th 2016. 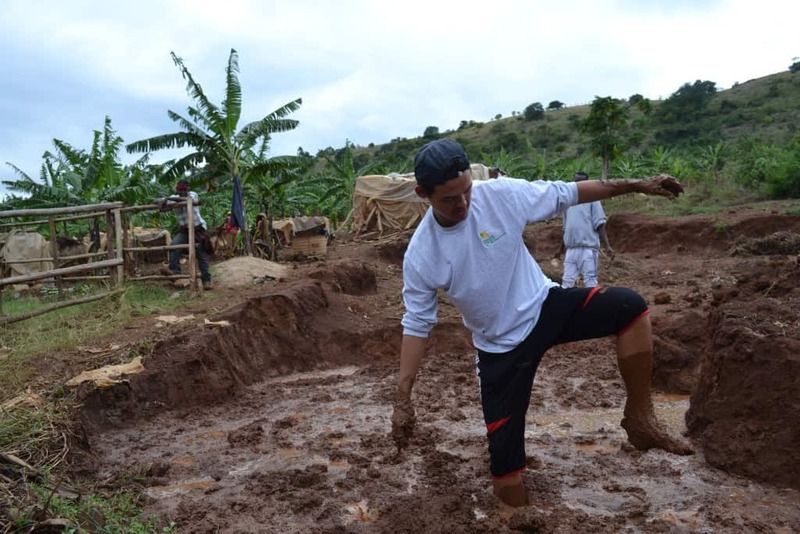 CAC Community Impact Coach David Mulo talks about his time with CREATA in Uriri, Kenya. ‘It was so exciting to work with CREATA as a CAC Community Impact Coach for the second time. This time around I didn’t require much information to locate Center for Recreation in Africa for Africa. I found my own way to Uriri centre where the CREATA office is. Even though I was with CREATA back in 2014, the memories are still raw and vivid. It seemed like it was yesterday. One thing that amazed me this year was how Mr. Paul, the director of CREATA, was talking about CAC’s ASK for Choice program and its connection with International Women’s Day with so much passion, and how he rallied all the coaches and the community at large to support the initiative. The On-Field training in the mornings were energetic, the local coaches were eager to grasp all that we had planned for. Most of our afternoons were challenging because as the day progressed, it would become hotter and hotter under the scorching 30 degrees Celsius Sun. This reduced the physical energy level of coaches & participants alike, but the zeal that I could feel on the faces of the local coaches to learn more, regardless of the little time we had, changed the mind set of almost everybody in the field. There was this woman by the name Violet who came with her child every day in the morning and in the afternoon. Before playing she would breast feed the child before joining the training and when the child was asleep, she placed her where we kept our bags and the mother would join the rest of the coaches in the field. When we went to the afternoon session she would do the same but because it was so hot, Violet would remove the upper clothes of her daughter and place her on top of the blanket that she was using to cover the baby with and rush to the field. The whole scenario printed a picture in my mind of what women go through in order to be fit and be at the same level with the men. I had mixed feelings with what Violet demonstrated during the whole training. 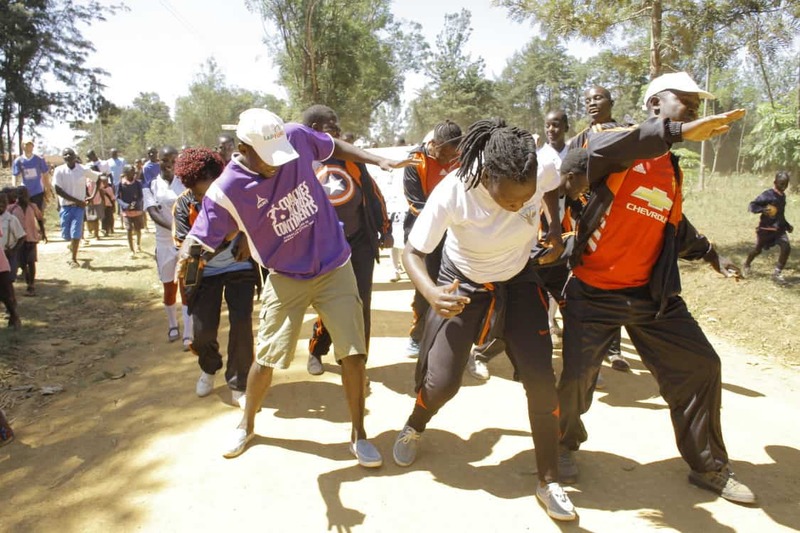 Not many coaches paid attention to what was happening, maybe because that was just part of a day in Migori. However, it was very significant to me and these are some of the precious memories I will carry with me forever as a Community Impact Coach. To me Violet has shown the strength of a Woman on and off the field. We were also fortunate to celebrate International Women’s Day with CREATA coaches and pupils from different schools within Uriri Center. The celebration included a procession around the Uriri Market which surrounds the CREATA office just to sensitize the community on the importance of celebrating International Women’s Day and how it gives women an opportunity to be heard in the community. Later in the day, the local coaches were able to do their coach-backs with pupils from four different school, all the coach backs were conducted by women from the training and it was a fine way to conclude our week of training. It was emotional for me to say goodbye again after awarding the certificates later in the evening, CREATA was able to offer the finest hospitality to us. To all CREATA Coaches, the director Mr. Paul and his family, I would like to say thank you very much, you guys were the best. 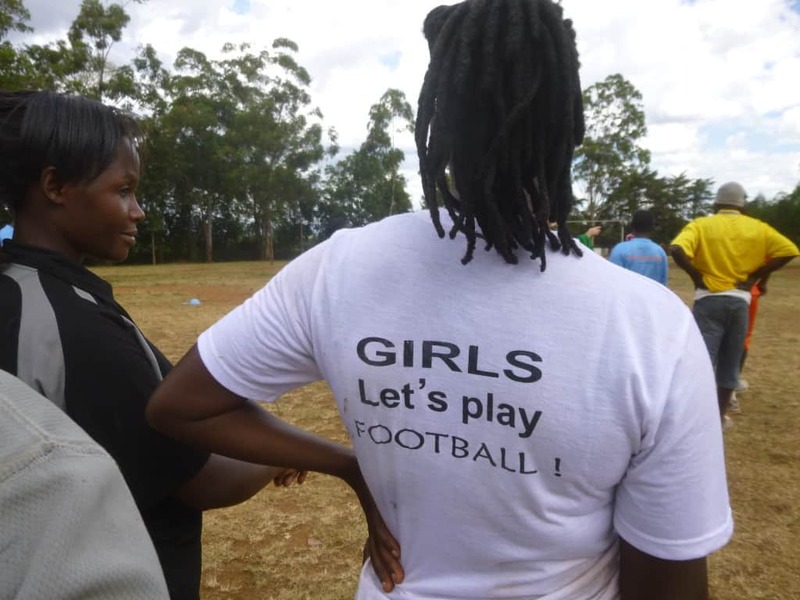 I will be following the progress of the local coaches on how they are playing the games and if they have created their own games…until we meet again, Happy Women’s Day. November 30th 2015. Tomorrow, December 1st, is World AIDS day. Since CAC was founded in 2008 we have been a proud supporter of the day which is an opportunity for people worldwide to unite in the fight against HIV, show their support for people living with HIV and to commemorate people who have died. It is estimated that 34 million people worldwide currently live with HIV. Since 1984, 35 million people have died of HIV/AIDS. This year we have given all of our global partners an HIV/AIDS packet of educational games for them to use within their community. In total this packet will be used by 830 organizations in 87 different countries. 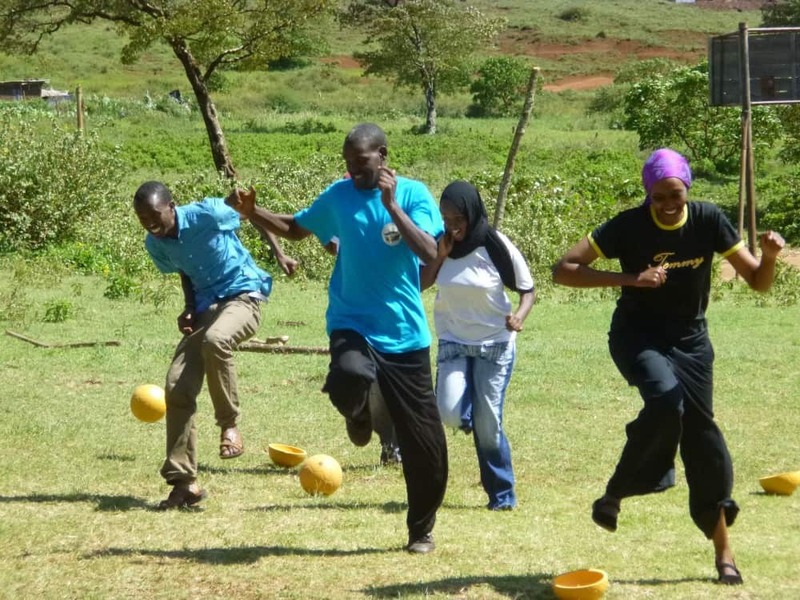 These games teach youth how to prevent HIV/AIDS and how to support people living with HIV/AIDS through sport. Many of the partners we work with across the world focus specifically on HIV/AIDS within their community such as Rumah Cemara and VAP. They use sport to educate children about HIV prevention and promoting regular testing through sport. Over the past eight years many of our partners have run testing events and tournaments on World AIDS day. 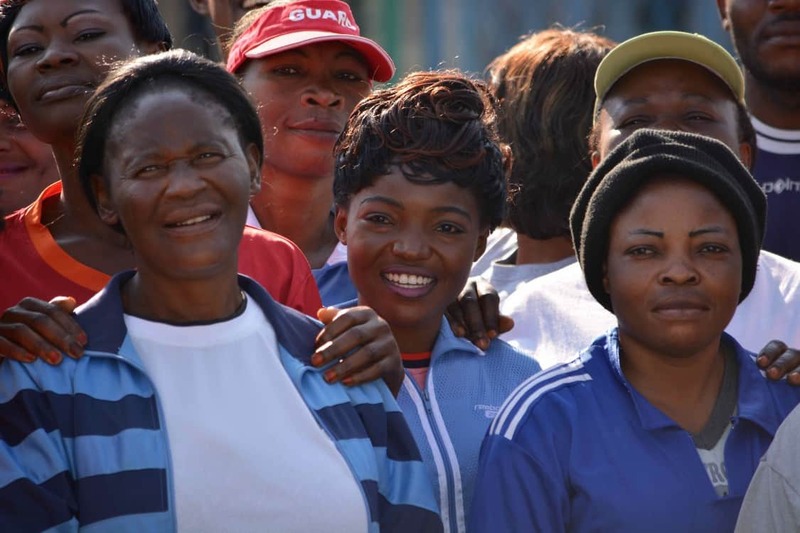 World AIDS Day is one of the three global days we ask all of our partners to participate in alongside International Women’s Day on March 8th and Peace Day on September 21st. These days bring attention to some of the biggest issues in the world today. They highlight groups and communities of people who have often been marginalized. CAC is delighted to continue supporting these powerful days and these underserved communities. August 14th 2015. Léogâne to Port-au-Prince, Haiti. Nairobi to Marsabit, Kenya. Tacloban to Baybay, Philippines. Nyanza to Kigali, Rwanda. Tanzania to Uganda. Uganda to Kenya. Cambodia to Philippines. These are some of the movements of our Community Impact Coaches (CICs) so far in 2015. We have had 16 CICs from 9 countries, directly impacting 28 CAC programs, and consequently nearly 100,000 children. The locations and numbers are compelling, but the stories behind those facts and figures are far more inspiring. So who are these CICs? How have they enhanced our work? And what have they brought back home to their communities? The CIC program pulls in the best of the best from our implementing partners. These are the coaches who have demonstrated their commitment to using sport for social impact at home with their local organizations, On-Field during past CAC trainings, and in year-round communication with CAC staff. These coaches, once selected as CICs, are part of On-Field teams for 1-3 weeks in various locations in their country or internationally. They assist us with the training of other leaders while learning more from our SDL Coaches, and soaking in everything they believe will empower them back home. We kicked off the year with a CIC exchange of sorts. Our 3rd-year partners, GOALS Haiti in Léogâne sent two coaches to work with our team in Port-au-Prince with 2nd-year partners The Sanneh Foundation’s Haitian Initiative (HI). The following week two coaches left the city to join our staff for the third year of the On-Field component to our partnership with GOALS. These two weeks are a great representation of what the CIC program is all about. The GOALS coaches were essential in helping us train 173 leaders in Cité Soleil. The HI coaches visited Léogâne and were able to see how far along a third-year partner is, while learning from them and being challenged to advance beyond the work we had done in their community. 2015 also saw the return of our first-ever CIC, Nico Pota, who traveled from his home in Tanzania to help us run three programs in Uganda. While in Uganda, Nico met the second-longest serving CIC, Salim Blanden. Soon after the Uganda programs, Salim traveled to meet our team in Kenya where he helped us train two sets of leaders. After his final week with us, one of the participants had some encouraging words to say about the CIC program: “It is very good for us participants to learn about other cultures and it can help to improve the life of the people in the community. It also encourages members of our community to try to achieve that as well, because when you have been in another community you come home with new ideas. To see Salim also encourages me to do my work and help to improve my own community in Rapogi.” – Michael Ouma, Migori County, Kenya. 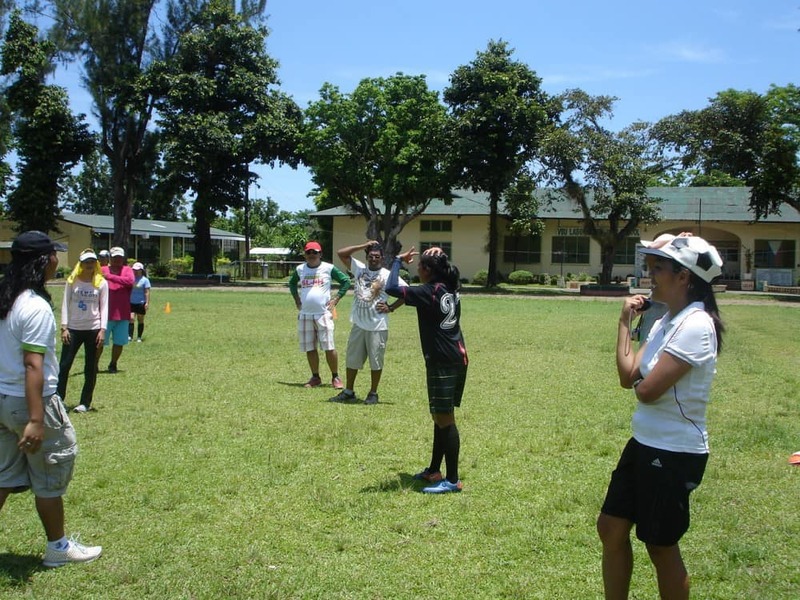 In early May we had some fiercely empowered Filipino women join us for our first time working in Baybay, Philippines after our second year with partners Football for Life in Tacloban. Hazel and Patty were running the show with a group of physical education teachers, and we hope to get one or both of them assisting us internationally in the near future. 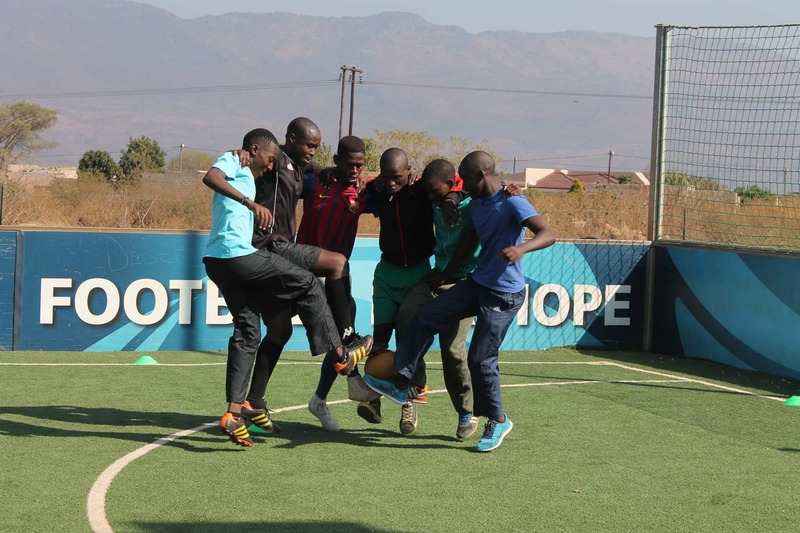 One of our Zimbabwe partners has finished the Hat-Trick Initiative, and after the third year several of the coaches applied to the CIC program. Of these candidates, Frank Chivawura was selected and joined CAC On-Field near his home in Harare with a first-year partner, helping us introduce our methodology to the new participants. One of the most incredible stories from our CICs takes us back to Kenya. David Mulo and Charles Otieno have been CICs with us for two years, helping us train leaders in various parts of their country. These inspired leaders work with long-time partners Vijana Amani Pamoja in Nairobi, and since joining us as CICs, they’ve wanted to do more. They started their own NGO called Green Kenya where they use CAC games to teach youth about all sorts of social issues, i.e. : “teaching participants how to conserve the environment using CAC environment games.” Another such issue is the empowerment of women. We have just been informed by David that they recently launched their new Girl Up initiative where, among other things, they are having men go out and buy sanitary towels to better understand and support women. 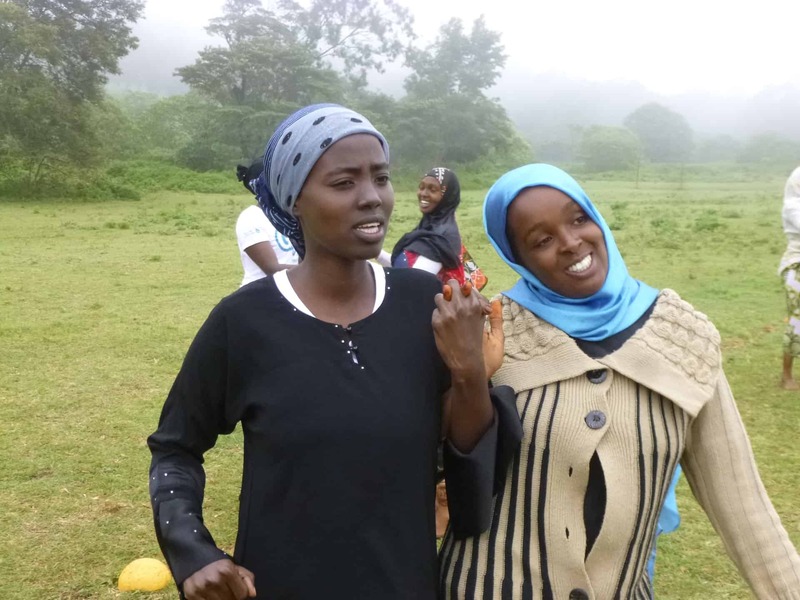 David was part of our training in Marsabit, Kenya with Horn of Africa Development Initiative (HODI) – a program that needs little introduction when it comes to empowering women and girls. I decided that I want to do something for the girls when I get back to Nairobi… I will assemble the girls in my community and let them talk about the issues that they are facing and how they think we can tackle them. I want to let them have a voice to be heard. This idea would not have grown in my head if I did not get the chance to be a Community Impact coach (CIC). And now Girl Up is born. This is just one example – albeit amazing – of the work that our CICs are doing with us, and more importantly, without us. As David and many others have taken the time to thank CAC for the opportunities we present to them – I’d like to take this moment to thank our Community Impact Coaches across the world: Thank you for taking advantage of this opportunity and owning it; thank you for being exactly who you are and allowing it to inspire so many people; and thank you for not being afraid of the unknown. With a packed program schedule for the remainder of 2015, we cannot wait to unleash more CICs onto our partners. And moreover, we cannot wait to unlock more of these stories that are waiting to be lived by people who continue to dream despite overwhelming obstacles. To find out how you can support the Community Impact Coach program please go to this page or contact us. Community Impact Coach David Mulo of Vijana Amani Pamoja and Green-Kenya in Nairobi, travels with CAC to our program in Northern Kenya with Horn of Africa Development Initiative (HODI). 25th May 2015. At 1:45am on Monday the 11th of May I get a call: “Good morning David, Could you please talk to the taxi driver and give him directions to your place so that we can pick you up?” I heard a calm and persuasive voice from the other end of the line. It was Markus, one of the coaches from Coaches Across Continents that I was supposed to travel to Marsabit with. And I don’t want to forget the big man Turner, or “Hooch” as he would like to be called on the field. We reached the bus station at 2am, the bus was supposed to leave at 2:30 “Western time”. The word “Western time” is vivid in my mind because when I told Markus that we are going to travel at 2:30am, his first comment was, “I hope it is Western Time”. At the bus station, we met a skinny guy with dark and protruding eyes. He was a Somali youth. I think the reason for his eyes was because he was munching “Mirra” (a local drug that has a stimulating effect) the whole night. Our journey of 550km to the north of Kenya felt to me like it was two times longer. I kept on wondering “Where is this place called Marsabit?”. After just a kilometer loud, consistent music started to play and a man sang in Arabic for the next 150 kilometers. The speaker was just next to my head so there was no way I could take a nap. I thought the music signified that I am going to another county and I have to tune my mind. At some point the music begun to sound like a lullaby and the next time I woke up we were in Isiolo. Noon: We arrived in Marsabit, after a 10 hour journey. I was really exhausted. After I sorted out our luggage I saw this tall, dark skinned lady wearing a Bui Bui (a long black dress with a hijab covering her head as a symbol of her Muslim religion). With an infectious smile she was talking to Markus and Turnner and I was curious to find out about the discussion they had and who she was. “My name is Khula Dida. I work for Horn of Africa Development Initiative (HODI).” Khula took us to our Hotel which was just few yards away from the bus stop and promised that Noor (HODI’s program director) will come and meet us later at 8pm. I got into my room, took a shower and of course took a nap. Noor appeared at the promised time. He was a soft spoken young man with a small gap between his upper teeth who always maintained eye contact while talking to you. Later I found out through the coaches that people with a gap between their teeth are considered to be intelligent and handsome. The four of us had a nice chat as we tried to find out more about the community. We wanted to know which social issues they were facing, the number of participants we expect, what was the best time to start the training and many more. I realized that through all these questions Markus laid the basis for a successful training. During our discussion two social issues caught my attention: Female Genital Mutilation (FGM) and early marriage. These in-humane acts are some of the deep rooted cultural practices in many communities around Marsabit. “Many young girls go through the cut while they are still young and then they get married without their consent. I think many of my friends if not all have gone through it.” said Khula, the woman that welcomed us at the bus stop when we arrived. She had now become my source of information and she spoke very openly about the practice of FGM not wanting it to happen to her own daughter. On the first day of our training we met these beautiful young girls who were covered from their head to at their feet. They greeted us with a lot of happiness, perhaps with the quest and knowledge to tackle gender norms. I was surprised that more women than men turned up for the training in this male dominated community. As we were going through CAC’s games with the participants many things were going through my mind as a result of the meeting that we had with Noor the day before. I was surprised that I didn’t see Turner and Markus showing a sign of disbelief. Maybe because they have heard and seen many of these stories after working with CAC. After some games we had to take a rest because the heat was unbearable. We ate bananas and quenched our thirst with cold water that was being provided by HODI. At the end of each session we reviewed the games and their social impact. I realized there is a huge gap between the males and females in Marsabit County. As we were walking back to our hotel I saw male coaches from the group we trained walking in a group ten yards away from their female counterparts. I wanted to know the reason why and so I asked one of the coaches. “A girl or a woman is not supposed to walk with a man if they are not married otherwise the woman will be considered to be a prostitute or loose” said Amina, who seemed to be annoyed about the whole story. I could read that from her facial expression. On Saturday after completing the Child’s Rights discussion I decided that I want to do something for the girls when I get back to Nairobi. Even though the problem is not that big at home still many girls are going through horrendous moments. That happens in different parts of the World. Marsabit and Nairobi are just two examples. I will assemble the girls in my community and let them talk about the issues that they are facing and how they think we can tackle them. I want to let them have a voice to be heard. This idea would not have grown in my head if I did not get the chance to be a Community Impact coach (CIC). I would like to take this opportunity to thank Markus, Turnner, Nora, Brian and Nick and the whole CAC family for giving me this life changing opportunity. I am happy to be a part of CAC who are global leaders in Sports for Social Impact. I hope to meet with again with you somewhere else in the world just so we can continue to do our best with the little that we have.